The Torbay Bookshop where Matthew and Sarah Clark provide a very well stocked shop with books to suit every taste and interest. What a joy to come across an independent bookshop nowadays and know that they have survived because they give knowledgeable advice and good service to their customers. With the burgeoning of the e-book market comes a revolution in the way we access the written word, but hopefully there will still remain a demand for the book and that wonderful service to the reader, their local library. 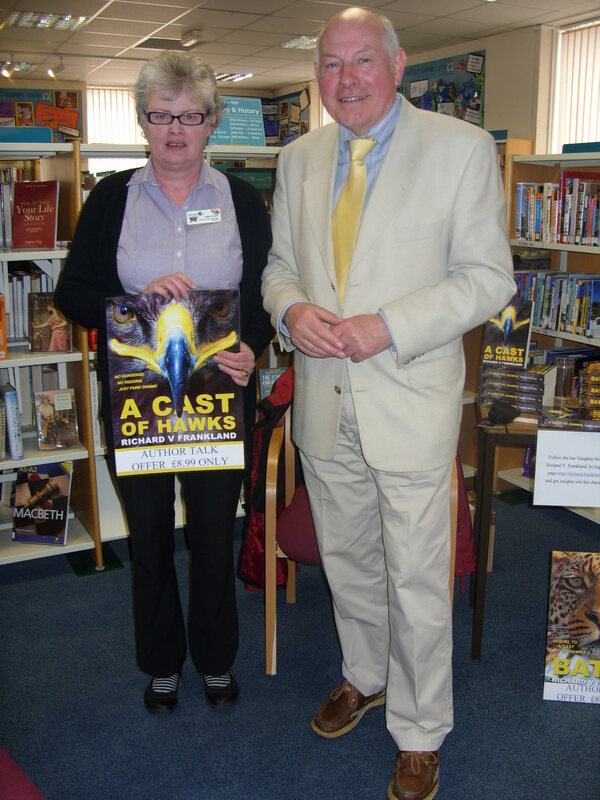 During my week in Devon I visited the libraries at Newton Abbot, Dartmouth and Tavistock. The Devon library service has been voted the best in the country, along with Dundee, and from my observation thoroughly deserved that accolade. At a ‘drop–in’ session at Newton Abbot amongst those that actually dropped-in was the local author Robert Swann who with me enjoyed an interesting discussion with the library’s insightful, John Brooks. where I gave a more formal talk on thriller writing. A most enjoyable event for me, especiallythe question and answer session that followed. From there we moved to Tavistock enjoying a similar talk programme arranged by librarian Helen Cooper. 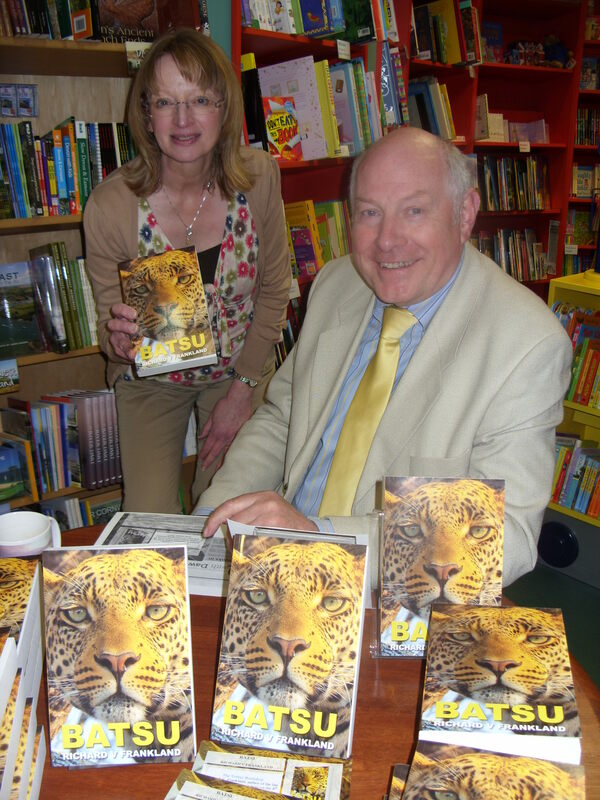 As an author one learns a lot from events where you hear from your readers their thoughts on your plots and characters. As a novelist I write for the enjoyment of my readers, therefore these opportunities for feedback are incredibly important. As mentioned earlier, the visit wasn’t all work and allowed time for a visit to Coleton Fishacre, once home of the D’Oyly Carte family. The house, one of the best of Oswald Milne’s designs, is set in a wide valley that leads down to the shore. Though small, in terms of the usual National Trust properties, it is a delightful family home with an ‘Arts and Crafts’ exterior housing a well-preserved ‘Art Deco’ interior. The gardens are truly beautiful with many delightful walks. The proximity of the house to Kingswear presented me with a golden opportunity to visit Darthaven Marina, the place where my hero Ian Vaughan berths his yacht La Mouette sur le Vent, where I met up with John Holman, the Managing Director of the marina. This entry was posted in Writing Thrillers and tagged Dartmouth, Newton Abbot, Paignton, Scenes from 'BATSU', Tavistock on June 16, 2013 by Richard V Frankland.